One (1) logic module with two types of black plastic connectors. The Vaseline-yellow-colored substrate is covered on both sides by a gridded-field of square-shaped solder marks. 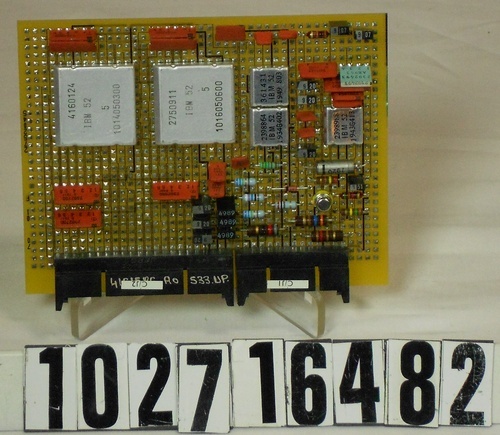 The component side of the module has various components parts attached. A handwritten alpha-numeric code is visible on the larger connector, component-side, but is partially covered by rectangular a sticker.